Alaskan women are smart, hardworking, innovative and tough. They have helped build the state through dedicated service to education, medicine, business, the arts and much more. 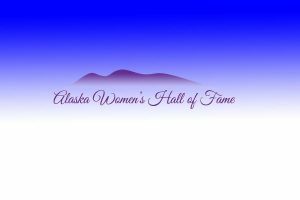 The Alaska Women’s Hall of Fame inducts several of them each spring and this year marks the 10th anniversary. LIVE Broadcast: Tuesday, May 1, 2018 at 10:00 a.m. on APRN stations statewide.